The Ethiopia Land Administration to Nurture Development (LAND) project is a 5-year project (2013-2018) working at the national and regional levels of government to further improve the legal and regulatory framework related to land tenure and property rights, thereby supporting the Government of Ethiopia’s and USAID’s goals of increasing economic growth, improving rural resiliency, and improving resource governance. 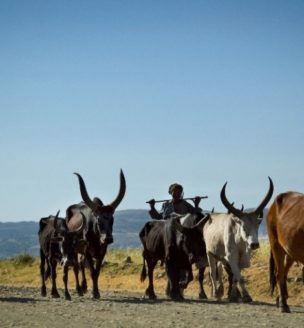 The project works with pastoral communities in the Afar and Oromia regions of Ethiopia to support the formal recognition of customary land rights and strengthen the capacity of formal and customary pastoral land administration and land use institutions to engage in effective land and resource governance. USAID is supporting a rigorous impact evaluation (IE) of the LAND project intervention in the Guji-Borana pastoral zone of Oromia to measure the key development impacts of project activities on communities and households related to enhancements in community resource governance, tenure security, improved land governance institutions, better land use planning, and increased negotiation capacity. The IE will employ a Difference-in-Difference methodology to measure impact, using baseline and endline evaluation data to compare changes over time between communities in Oromia that are receiving the LAND intervention and are not receiving the LAND intervention. Comprehensive quantitative and qualitative baseline data was collected prior to the start of LAND activities in Oromia from August to October 2014. The IE data collection instruments were designed to collect information on livestock holdings and herding practices, access to farmland and land management practices, access to grazing land and water points, rangeland conditions, and resource-related disputes. A Baseline Report, Design Report and other materials have been drafted and are available on this page. Administrative data on land expropriation and other materials to provide background context. Bush encroachment and the expansion of human settlements and farming has reduced access to and use of rangelands. Although the Borana and Guji areas have experienced considerable conflict over land and boundaries in the past decade resulting in losses of human lives and the destruction of land, less than 10% of households surveyed indicated that they had experienced any land-related conflict in the past year. When conflicts did arise, the baseline results show that customary elders are more likely to handle relatively minor land and resource conflicts within an ethnic group, while larger-scale conflicts over administrative boundaries involving different ethnic groups are often taken to formal government offices resolution. Nonetheless, customary institutions continue to play a key role in creating rules and regulations over land and water and imposing penalties in cases of rule infractions. Lastly, the baseline analysis identifies very little outside private sector investment in land in the study region; however, local people are increasingly aware of the prospect that investors might come to the area.